By sheer coincidence, after we had just previewed Menashe on this blog, the next film in our Netflix queue is the 2013 Israeli film about Orthodox Hasidic Jews (in Hebrew with subtitles). 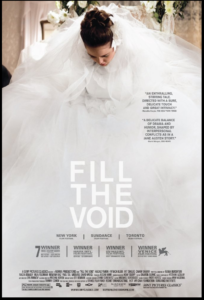 Fill the Void examines the orthodox tradition of arranged marriages. 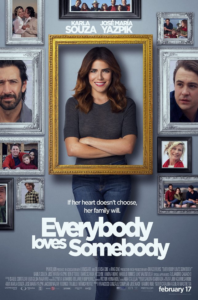 The movie centers around 18-year-old Shira (Hadas Yaron) after Esther (Renana Raz) her older sister tragically dies in childbirth. Esther is survived by her newborn son and her grieving husband Yochay (Yiftach Klein) as well as her parents and sister. Shira is now of marriageable age and is considering possible candidates provided by the matchmaker and of course is being considered by eligible men. Yochay is being “offered” a woman who might move to Belgium if he were to marry her. The idea of losing touch with their newborn grandson is horrifying to the grieving grandparents which makes them want Shira to consider Yochay. This film is a sensitive and penetrating view of the orthodox community steeped in this tradition of prayer and customs. It also suggests the complicated perhaps guilt-ridden feelings that Shira might have as she considers becoming a substitute wife for her handsome brother-in-law to whom she is ambivalently drawn to as he is to her. 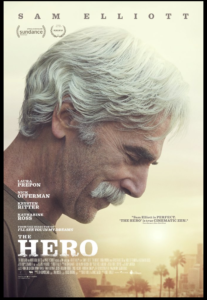 Sam Elliot is a captivating actor, tall, rugged with an unbelievable resonant voice. He plays such a character in this film which was specifically written for him by Brett Haley who is the director and screenwriter. Mr. Elliot even admits that the actor he plays in the film is somewhat like his real self, but the plot is fortunately not his story. Lee Hayden (Elliot) is an over the hill actor in his early 70’s, long time divorced and estranged from his daughter Lucy (Krysten Ritter). He once starred in a very successful cowboy film but now does mostly voice-overs. 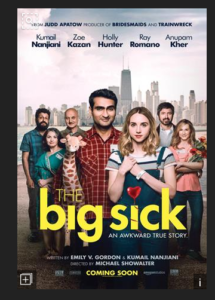 He also has a newly discovered challenging health problem at the same time he has met Charlotte, a young woman (Laura Prepon), and they share a mutual attraction to each other. Did we say young woman? She is actually in her 30’s. almost a 40 year difference. Our hero has to try to figure out this relationship while facing his own mortality and trying to make peace with his daughter. At the same time, he may have the opportunity for a great part in a new movie. The problem with this situation and the problem with this movie is as far as we’re concerned is that we really don’t understand these characters. We don’t know the real backstory on this young woman who is attracted to this older man nor do we understand why our hero got divorced from his wife (who by the way is played by Katherine Ross, Mr. Elliot’s real life wife). You probably know the modern day’s story of Caitlyn Jenner. You may be familiar with the successful TV series Transparent. If you are old enough, you may remember Christine Jorgenson, who was one of the first transsexuals to have successful reassignment surgery. Certainly you are aware of the transgender community and their fight for recognition and for fair and equal treatment. But you are probably not aware of the little known love story of Einar/Lili and Gerda, circa 1920s, which culminates when Einar recognizes that he was a woman trapped in a man’s body and is going to try to do something about it . 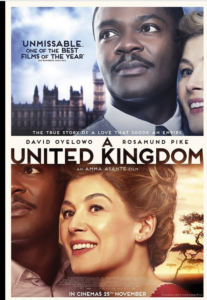 This is a true story based on a book by David Ebershoff brought to life in the screen play by Lucinda Cox, which went back to the original diaries left by Gerda. 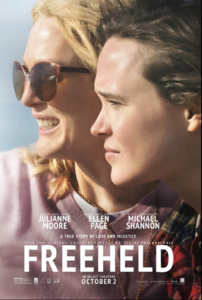 This was a movie project carried for 15 years by producer Gail Mutrux who optioned this book over this period of time and went through over 70 potential directors and a few actors who were considering these fascinating roles including Nicole Kidman who at one point was interested in playing the transgender role. It was not until Mutrux was able to interest director Tom Hooper (Academy Award wining director of The King’s Speech) that this project that got its legs. Hooper showed the script to Eddie Redmayne (Oscar winner for the Stephen Hawking role in The Theory of Everything) who came on board. Swedish actress Alicia Vikander joined the cast and there was a chemical reaction which brings us one of the highlight films of the 2015 season. 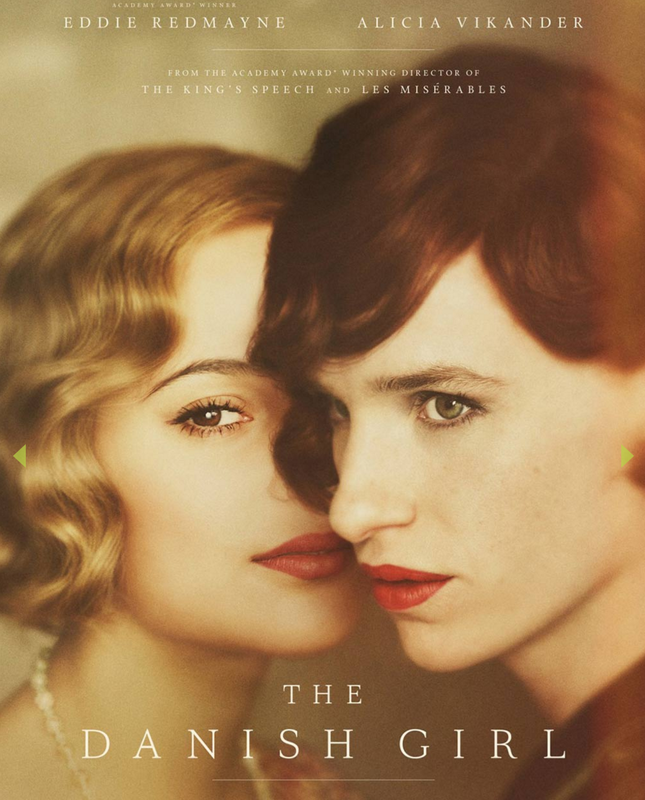 Redmayne combined his sensitive demeanor with a soft spoken rendition of a talented painter and happily married man who becomes acutely aware of his feminine side which breaks out of its shell and could not longer be contained. His transformation from Einar to Lili is one of the acting triumphs of the season. At the same time Alicia Vikander turns in a performance which matches Redmayne with sensitivity and insight, as we see joy turn to doubt and then to disbelief but yet she maintains her unyielding love for her husband. Two great actresses, Cate Blanchett (two academy awards for The Aviator and Blue Jasmine) and Rooney Mara (known for two recent outstanding performances in The Social Network and Girl with the Dragon Tattoo) are matched in a subtle, low-key romance that takes places in the early 1950s in New York. 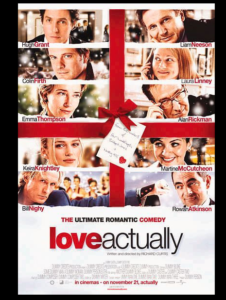 Carol Aird (Blanchett) is a wealthy married woman with a 5-year-old daughter who finds herself drawn to Therese Belivet (Mara), a younger woman working as a department store clerk with a boyfriend who is getting ready to propose to her. 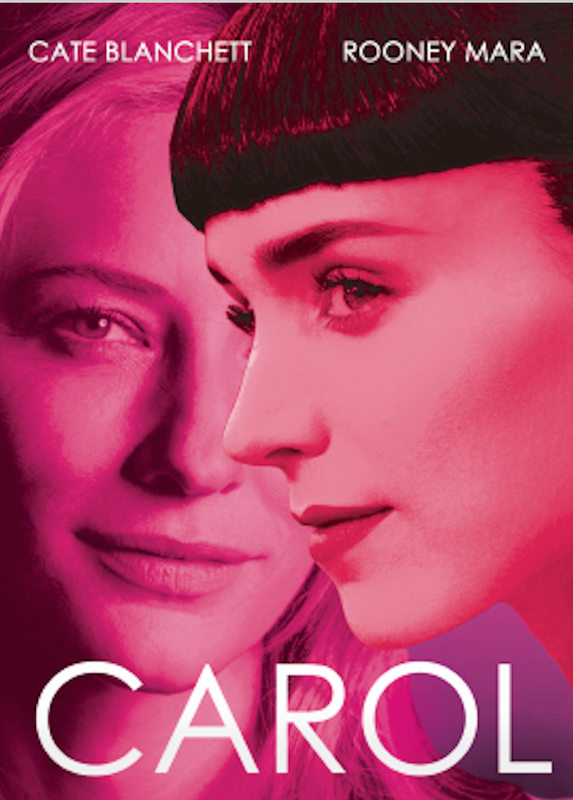 Therese shares the attraction to Carol and the two spend time together and go away together on a road trip.